Do you see large, rugged looking rats in your house? Chances are you have a serious Norway rat problem. Norway rats seem to be a common problem for most homeowners in today's day and age. If you keep having issues, give us a call at (510) 900-8593 today! Norway rats need proper inspection, extermination, and removal. Only Berkeley's finest rodent control company can get the job done. Norway rat infestation issues are nothing to mess around with. Again, one Norway rat is enough to prove a much bigger problem at hand. Whether you know it or not, these rats may be entering your house daily and you would have no knowledge about how to stop them. Don't risk anything, consult with a professional Norway rat control company to handle all the problems. It is not worth your time to figure out a Norway rat solution. Take a look around your property for any possible easy entrances a rat can use and cover it up. If your still not satisfied and constantly dealing with Norway rats than calling the professionals is highly recommended. A Norway rat has a very different look than any other rat. Norway rats vary in color and have short tails compared to the roof rat. Norway rats are also much larger in size than roof rats. Compared to the roof rat, the Norway rat has a much more rough skin along with fur which may be a result of environment more than anything. These rats will consume much of the same food other rats eat, but particularly love protein and carbohydrate based food. These rats cannot survive without a reliable source of water. Many household areas may be a reliable water source for Norway rats, like bathrooms, kitchens, sinks, and water pipes. 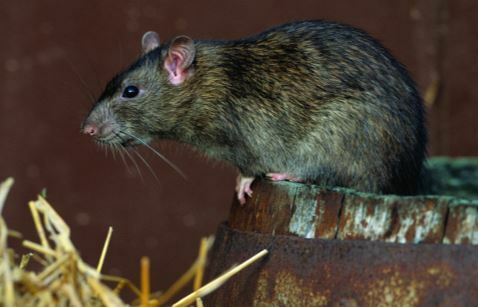 It is not uncommon for Norway rats to be seen indoors due to finding a food source. Unlike the roof rat, the Norway rat will gravitate towards finding living quarters in underground tunnels or burrows. Common places are near garages, sheds, fields, gardens, orchards, and barns. Rat communities are built around burrows. Any foundation structure like a wall or beam is a great place to find families. When a Norway rat population starts to increasingly grow than underground networks start to emerge. If you spot a nest or network it is a good idea to destroy it in full. When a Norway rat inspector comes on site, burrows and nests are the first things looked for. These rats like to move and act at night, sleeping during the day. If you ever see Norway rats roaming around your property it is imperative to act fast. If your not quick enough destruction can happen. Any plants or pets you have may be endangered. Our team of professional Norway rat exterminators will easily get the job done for you the first time. When a rat problem is spotted, proper rat trapping, baiting, and exterminating will occur. Rat trapping is a tricky task, with the right professionals to advise over everything, a rat trap can be very effective method of elimination. When a Norway rat trap is implemented, location is everything. Identifying where the rat is roaming around will help to decide where to put the trap. If you place the rat trap in the wrong place, nothing will get fixed. When rat trapping isn't enough, rat baiting will be more effective. When dealing with Norway rats, it is essential to put the bait in areas close to the traps. Both the rat extermination methods will get rid of any and all rats on your property.